As far as the Territorial Gloucesters were concerned, the fighting at Passchendaele in October 1917, in the infamously atrocious weather conditions, came to a premature end. to Milan in Italy. Even in those days Italy was a dream posting – except that the destination was not sun but snow in the mountains north of Venice. 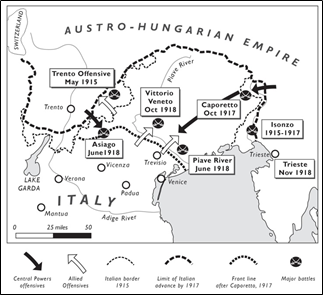 British soldiers were sent to Italy as part of a trap to weaken the Entente as the Germans were planning the March 1918 attack in France. They wanted their Austrian allies to play their part by attacking England’s unreliable ally, Italy, and draw troops away from the Western Front. That had been crucial after the Italians had been soundly beaten in November 1917 at the Battle of Caporetto. Initially there was little action in the winter’s snow but - a century ago - on 15 June 1918, four Austrian Divisions attacked two British divisions - weakened by influenzawith 30% in hospital. An artillery bombardment forced the depleted British to retire to a new line of defence. 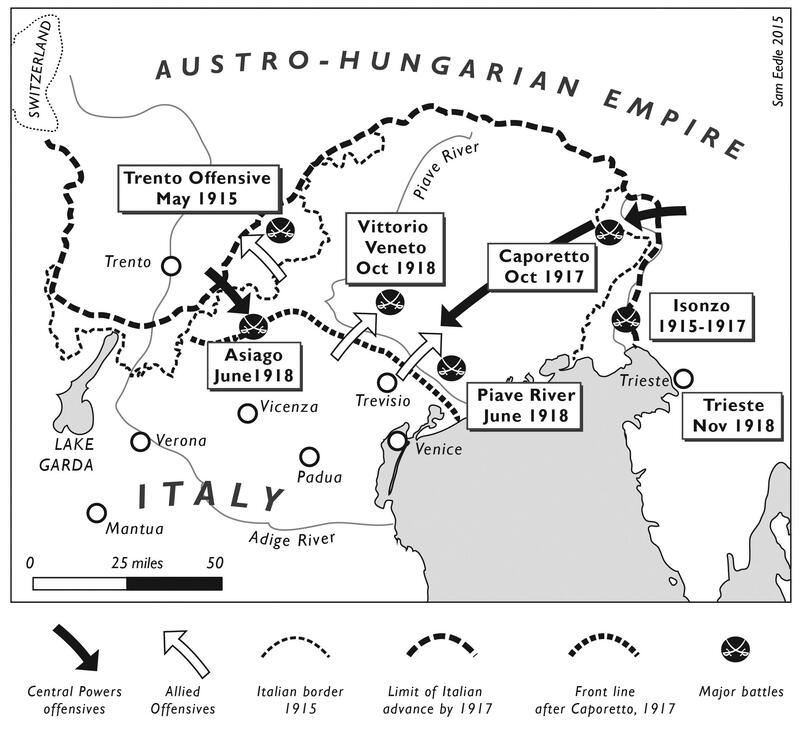 The attack at Asiago was then halted. That was it – but halting the Austrians and saving the Italians cost the lives of three Tewkesburians, F.N. Green, H. Warner and Military Medallist, Sgt. Albert Coopey. The fatal – but successful – adventure was over for the Gloucesters. Their reward, however, was to find themselves back on the Somme for the final push of the War.